Football trading, and betting systems, especially on Betfair is a topic that many people are now interested in. For a long time, betting in the UK was synonymous with horse racing. This is with good reason as well. If it weren’t for bookmakers at the side of the track, I think it is fair to say that shops wouldn’t have opened up on the high street and so on. Times have changed since those days however and so has betting. Horse racing is still the largest betting market in the UK, but football is fast catching up and as bookies pursue a more casual type of punter, I think that interest in betting on football will continue to grow. In fact, it is estimated that anywhere between £435 billion and £625 billion are spent on sports betting each year across both legal and illegal betting sources. Of this number around 70% is estimated to be on football. These are not small numbers and they highlight the fact that what was once a bit of a niche, can quickly become central to a whole industry. As you can see that is a LOT of money being traded, and the amount of money traded on football in any given week is colossal . I mean, the amount of money traded is mainly due to the global interest in the sport, but not only that, football is a much slower sport to trade than, say, horse racing where the majority of people trying to make a few quick will just back the favourite and hope for the best. Think about it, with horse racing some of the races are over inside a minute, where you get punters panick betting if the results are not going their way, and this leads to an unstable position (especially in play), because it is more risky, no doubt. In play football trading is much slower paced, more more relaxing because at the end of the day you have a whole 90 minutes in which to plan and implement any strategy you may be using, and use all the ammunition to make a profit, and to make the game pay. Although, what I want to show you on this write-up, and this ‘review’ is how the markets works, the traders who definitely make it work for them, what to look out for, and just what football trading is – as there is more to it than meets the average eye, who just see numbers jumping about on Betfair’s website. 1 What is Football Trading Then? 6 What Football Can I Trade? 7 Which Football Markets Can I Trade? 8 What is Befair Liquidity and Why is it So Important? 9 Which Markets Have the Most Liquidity? 10 How Do I Become a Successful Football Trader? 12 What Kind of Football Trading Systems Are There? 15 What Are the Pros and Cons of Trading Football on Betfair Versus Traditional Betting? What is Football Trading Then? Truth be told though; football betting has existed in some form or another for almost 100 years and was born here in the UK. Football pools used to be a method of betting in which you would try and predict outcomes of a large number of games. Really, the football pools were more akin to a lottery, however unlike betting now, you were competing with a “pool” (hence the name) of other bettors. The person with the most accurate and highest scoring predictions would taking home the prize. It is interesting that football betting started in this fashion and has now come full circle of sorts. In 1999, the first large scale and commercially viable betting exchanged launched in the shape of Betfair. This allowed people to bet directly against other people rather than a bookmaker. It also changed the landscape of betting immensely. As Betfair has grown, football has become an increasingly popular sport for people to bet and trade on and this is with very good reason. The structure of Betfair made in play betting a viable thing to do for any football game. It also opened up betting markets that probably won’t have been touched by bookies at the time. Fast forward to today and there are so many options open to bettors that it almost seems to be overwhelming. Whether or not you consider this to be a good or a bad thing depends on your approach to betting I suppose, but the majority of people I talk to are loving it at the moment. Now that I’ve spent a little bit of time painting a picture, I want to get down to the brass tacks of my article today and that is football betting through Betfair. Before I can talk about football trading specifically, I want to start by looking at what betting on a betting exchange entails and how this works. I feel like most people reading this will already be familiar with the process to some degree, however I am aware that many people are not familiar. With this in mind, I will not just be referring back to betting exchange concepts when talking about football betting. As a result of that, I don’t want people to feel alienated or out of their depth. It is well known how placing a bet works with a bookmaker. You go in, they set the odds, and you either take them or walk out of the door. With a betting exchange, you are betting with your fellow punters which makes the whole experience a lot more flexible. Instead of accepting the odds which are offered, you can essentially put your bet out there, with other people accepting your bet. If you win, you receive payment at the odds that you chose. On the other side of this bet, you can also “lay” your bet. This is essentially being on the other side of the bet as discussed above. Laying a bet means that you are betting against an outcome rather than for it and it is the crux of betting exchanges. Lay betting, as it is often referred to, is an integral part of many betting strategies, both football and none. One of the other key features of betting on a betting exchange as opposed to through bookmakers is the concept of trading. For many, this feature is what makes a betting exchange superior to betting through a bookmaker and it isn’t difficult to see why. Because of how betting exchanges work, when you place a bet, you can then “trade” that bet out midway through an event. This allows you to take a profit before an event has finished or alter your bets completely. I will cover this topic in much greater detail below however. Football betting is really straightforward, right? You put a tenner on your team to beat Crystal Palace (because so far, this season, of course you do) and you make a few quid to cover beer money for your next game. Some people might go a little bit more in depth. That is most people’s experience of football betting and taking this approach probably won’t steer you far wrong in the short term. Long term however, we are looking for very different results and to really understand this, we have to look at football betting as a whole. For a long time there were football pools, but in many ways, this was more akin to a lottery than modern football betting. Modern football betting has truthfully only really started to take off in the last few decades, mostly because it is seen as being a more profitable market for bookmakers to make money. This is because when people are betting on football, they are more likely to bet with their heart than with their head. Think about your chosen football team for a minute, and then ask yourself how comfortable you really feel betting on them to lose. It feels a little bit like turning your back on somebody. Of course, you may not enjoy football in which case football betting is simply another stream of revenue for you. Frankly, this is the best attitude that you can have. As I have already touched upon however, betting is slowly changing, especially in regards to the methods of betting that people employ. Trading is becoming increasingly popular and it isn’t really hard to see why. Aside from some of the obvious advantages such as being able to cash out a bet when there is some profit and allowing a much more different analysis of betting markets, trading can be used to all but guarantee a profit in game or allow you to turn a negative into a positive. Traditional football betting simply isn’t in the same league (if you’ll pardon the pun). Trading on Betfair is a skill which is not necessarily new. In fact, a large number of the fundamental skills that are involved in trading on Betfair have been brought over from Forex markets. The early pioneers of trading were financial traders who came to notice that there were similar patterns and indicators on betting exchanges as there were on the foreign exchange, something that the name strongly implies (betting exchange). By bringing their skills over from finances to betting, there have been a large number of professional bettors trading on Betfair both historically, and presently. One of the things that it is important to note when looking at trading on Betfair compared to betting is that you don’t have to know anything about a sport to trade. When you are betting however, you generally need some knowledge. This opens up trading on Betfair in ways that you wouldn’t have ever expected when compared to the traditional betting route. With our appetisers out of the way, I think that it is important to look at what this article is really about and that is trading football on Betfair. There are a lot of reasons that you would want to trade football over other sports and likewise, there are a lot of reasons that you would want to trade over betting, most of which I will probably go into over the course of this article. The long and short of this is that trading carries significantly less risk than betting if the correct approach is taken. It also allows for very different strategies which focus on making a more consistent profit on a day to day basis rather than the ups and downs that come with traditional betting. After all, I think that most people who bet on football would rather win £5 every day, than lose £5 every day, only to win it back with a £35 profit at the end. What Football Can I Trade? The number of games that you can trade on Betfair is frankly rather staggering. It is a genuine year round affair with a massive variety of different leagues and competitions from different countries and continents. In fact, I have just logged onto the Betfair exchange and there are an eyewatering 53 different countries that I could bet on the football over. There are also international games as well. This kind of variety is hugely important as a big part of profitable football trading lies in finding value. It is no coincidence that most of the profitable football tipsters and settings that I have looked at have involved betting on more obscure leagues and games. 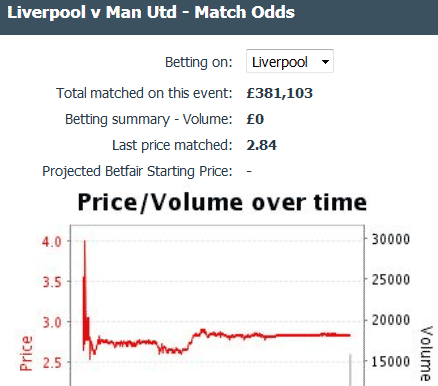 Fortunately, the breadth of depth that exists on Betfair’s exchange makes it ideal for trading, whether you are looking at the Champions League final or an Azerbaijani Cup match. Which Football Markets Can I Trade? For many serious football traders on Betfair, the types of games that they are betting on is somewhat secondary to the betting markets that are available. This will vary from game to game depending on what games you are betting on (more niche leagues and cups have less markets), however the main ones have you more than covered. Obviously, the main markets that people will be used to are win markets. This means backing a team to win, lose or draw. It can also mean laying a team as well. Generally speaking, this is where the least value is to be found in football trading as the number of potential outcomes are fixed. This doesn’t mean that it is a bad market to bet on as it is often the most liquid. Furthermore, there are some very well established trading techniques which are based around backing or laying on this market. This includes half time/full time markets which involve choosing the outcome at halftime and full time. The next bet type that I wish to look at that you can trade are the over/under goals markets. These are exactly what they say on the tin. You can place bets on there being over or under anywhere from 0.5 goals all the way up to 6.5 goals. 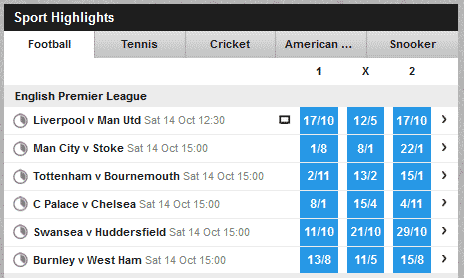 Over/under goals markets have become a staple of the Betfair trading scene. There are a number of reasons for this but the main ones are liquidity, the ability to hedge bets and the value that is available. The other types of football bets that you can trade are something of an eclectic mix. This includes things like the correct score (both at the end of the game and at anytime during the game). 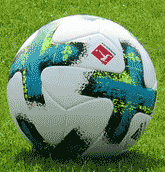 Whether a penalty will be awarded in a game and even whether a hat trick will be scored. This kind of esoteric bet isn’t something that most traders will look at, usually because there simply isn’t really any value in this type of bet. Furthermore, they are also generally very unpredictable. The only other bet type that is left to trade are Asian Handicap bets. These are an interesting but somewhat niche bet type which teams are handicapped based on their form. This particular betting market has yet to be really take off in terms of trading. This is mostly down to the fact that to the best of my knowledge, there aren’t any specific trading strategies for Asian Handicap bets. What is Befair Liquidity and Why is it So Important? I have mentioned a number of times about liquidity in markets and this is arguably one of the single most important aspects of trading anything on Betfair. Because you are betting with other people on an exchange, liquidity must be a thing to get your bets matched. This is because liquidity is basically the amount of money that is available on any given betting market on any given game. More liquidity is a good thing as it means that you are more likely to get bets accepted. Naturally there are certain general rules that you can expect to see when you are looking at liquidity of bets. For example, the bigger the game, the more money will wagered on it. Take the upcoming United vs Liverpool match. At the time of writing, there has been just under £240,000 stakes on the game simply on Match Odds. By contrast , the Qatari game between Al-Rayyan SC and Al Sadd has had just £19,188 bet on it. What is important to keep in mind is that generally speaking, with any game that you wish to trade on, liquidity will be at its peak the closer you get to the game. When it comes to trading, this is generally where you can get the best possible odds and your bets are most likely to be matched. This is of huge benefit to a trader as you are able to get the most out of each of your trades. Which Markets Have the Most Liquidity? Now that we know what liquidity is, we can take a look at which markets generally have the most. Using the upcoming Liverpool v Manchester United game I can start to look at how liquidity is spread out. I have already talked about the match odds and the amounts of money that have been bet there and this is generally where you will find the most liquidity. People like to believe that it is easiest to predict the overall outcome, something that I believe that there is some truth to. The match odds liquidity will inevitably increase as we get closer to the match, as will other markets. For example, the correct score market currently has around £16,000 stakes on it, a figure that will naturally rise as more goals are scored in game. The same applies to over/under goals markets which have across all examples a touch over £10,000. After this you tend to find that there simply isn’t that much liquidity unless it is a particularly big game. This is because the kind of bets (as I have already talked about) tend to be niche and unpredictable. As a result of this, it can mean that there is less interest from bettors and as a direct result, less liquidity. How Do I Become a Successful Football Trader? The best way to start earning your stripes in football trading is to get on Betfair and start trying to trade bets. I will be looking at some basic systems below which if you follow, you should enjoy at least a little success with. Ultimately, this will all depend on your mindset when you are trading. Betting and trading take a very different approach and this is mostly down to the fact that betting is binary. You can win, or you can lose. If you win, then you will make a profit and if you lose, you will lose your stake. Trading is much more fluid than this because you choose at what point you wish to begin or end a trade. To trade successfully, what you really need to be focussed on is avoiding losing rather than winning. This is because the nature of trading means that you are looking to make less money, more often. The narrower profit margins mean that anything resembling a big loss can kill your profits for a month. On a personal level, this means that you have to think a certain way. You must be selective and have patience and discipline when you have a trade in play. This is of course somewhat boring which is why most football betting traders that you see are more mature in age. These are people who are not seeking the thrill of a big win, but the feeling that comes with knowing that you have made a profit for the day, no matter how big or small that is. What matters is getting to the end of the year and seeing steady bank growth and an overall profit. It is important to talk about this before talking about practical advice for trading, not least of which is because without the mindset, you can easily overextend yourself. Making a trading plan is a good idea regardless of your experience. This means finding games that you believe have strong opportunities and working out which are best to trade. Consider things we have discussed like liquidity in the market, will teams play to score or will both play for a draw? From here, you can consider the kinds of trades that you might want to look at and start to learn how to manage trading throughout a game. When you are getting started, you might prefer to have the game playing out live in front of you. Irrespective of what markets you are trading and the set up that you have, it is important to keep in mind the fundamentals of trading football on Betfair. What Kind of Football Trading Systems Are There? In terms of the numbers of football trading systems for Betfair, there are more than I care to count. Fundamentally however, all trading can be viewed in two lights. These are pre game trades, and in play. Both of these are pretty self explanatory however it is important to understand the differences as they can massively influence how you trade. Pre game trading strategies will often involve the least risk. This is because you are looking to leverage small market movements often in order to identify profitable trading opportunities. This is often compared to the more traditional market trading methods of scalping. Pre game trading strategies of this nature generally involve being able to buy positions as soon as news breaks in order to get the best odds. You can then trade these out as prices move to lock in profit before a game even kicks off. In game trading is a much more dynamic affair that can produce much higher profits than pre game trading. This can be somewhat more exciting as there are a greater variety of bets to trade. It is however important to remember to be disciplined here and not let your trades drift into bet territory. This type of trading is arguably the purists trading in so much as it most resembles the traditional financial trading that ultimately evolved into bet trading. This kind of trading involves taking advantage of market positions and movements to generate a profit. It is arguably the most time consuming and riskiest method of trading as you are relying on things going one way or another in order to get results. Before a game, you notice that a teams star striker is on the bench, despite being up against an evenly matched team. You place a bet on Over 0.5 goals at odds of 1.8. The game plays out as expected and ends up feeling very much like a stalemate at 0-0. Both teams are reasonably matched with no obvious advantage. Team A suddenly bring on their star striker. At this point, the value in the various goals markets starts to drop significantly which means that your original position can be traded out for a profit, even though there hasn’t been a goal scored. You trade your bet and lock in a profit, despite the game ultimately ending in a draw. As you can see from this, we are using knowledge of the sport in order to identify where there are opportunities to make profits. With the correct approach, you can carry out this kind of trade multiple times in a game on a wide variety of markets which means that it is massively flexible. As I have mentioned however, you do need to have a reasonable understanding of football in order to really profit from this. Furthermore, you should ideally be watching the match so you can see where opportunities are becoming available. Whilst this method of football trading sounds simple, and in principle it is, it can actually be very difficult to remain profitable in the long term. This is because trades can often turn on a dime and the amounts of income that you generate are quite small. You can of course implement stop losses and trade out before you lose too much money, but it is difficult to ignore that this is a risky method of trading. This is a method that is again somewhat dependent on having some understanding of football. You have to have a reasonable amount of knowledge to say whether or not a team really has a chance of scoring a goal in return. This approach to training when paired with a sensible stop loss can allow you to make a decent profit in game with minimal risk. You will notice that in both of the examples that I have listed above, the winning trades ultimately end up being losing bets. This is what being a savvy trader is about. You are looking for trades that will win, not bets that will win and that is a distinction that most people struggle with, especially at first. Once you have got past this however, I feel that trading becomes a much more natural process. There are a lot of trading strategies out there that individuals use to make money every day. Some of these are clear winners and others are much more questionable. The truth is that what might work for one person might not work for another and vice versa. Trading is a very personal thing and it is really up to you to find where you are comfortable in terms of managing risk and your profit and loss sheet. That doesn’t mean however that you should instantly dismiss football trading strategies for Betfair out of hand. Becoming a successful trader is something that you never really stop working towards and there are some genuinely very good guides and strategies online. Dismissing them on the grounds of “knowing what you’re doing” can definitely impact how much money you can make through trading. What Are the Pros and Cons of Trading Football on Betfair Versus Traditional Betting? I have already touched upon the answer to this at numerous points in this article but there are some very clear pros and cons to trading over betting. Naturally there are some nuanced and grey areas, however in the main, there are quite definite differences. One of the main differences between betting and trading lies in the approach to profit. As I have already talked about at length, trading is all about finding small profits and consistently taking advantage of them in order to increase your bank in the long term. When you are betting, you have to take profit where it comes as ultimately, you have no control over anything. Personally, I consider this to be a positive for football trading over betting. Obviously, this does eat away at the excitement a little which some people will find to be a big disadvantage however I am not one of them. The next difference is in how time consuming each discipline is. Betting is usually “set and forget”. Put simply this means that once you have placed your bets you have nothing to do but simply wait to see what happens. Trading undoubtedly means spending more time at your computer. Especially when you are getting started. Even when you are experienced you will need to spend some time at your computer. The time consuming nature of trading can be mitigated somewhat through the use of a trading bot, however this will not apply to every method of football trading. Finally, the big difference as far as I am concerned is that football trading is a skill. Many traders that I have spoken with talk about how they could land somewhere new and start to make a living immediately. With a small amount of initial capital, I can entirely believe it. Betting on the other hand always involves some degree of luck. Realistically, I think that betting and trading both operate at different ends of the same spectrum. Which of the two you find preferential will ultimately depend on your approach to making money. For my money, I definitely prefer the approach that traders have to making money through football. Betting seems fraught with risk by comparison, and whilst landing a big win is definitely a thrill, I find that it is not enough to override being 50 points in the red whilst you wait for a win. Trading on Betfair is one of the safer ways of making money online that I can think of, so long as know what you are doing. Those who jump in with reckless abandon are almost guaranteed to lose money. This is unfortunate, but trading on Betfair simply isn’t for everybody. As I have already touched upon, you have to be dedicated, disciplined and hard working if you want to be successful in trading. Trading football on Betfair is one of you best options as well in my opinion. I know of plenty of people who prefer horse racing, and some of them make good money through it. To each their own. For me, football is just more accessible. When you are looking at horse racing you might have to consider 3 or 4 different horses per race. With football, there are only 3 possible outcomes per game. Furthermore, there are many more markets that you can aim to take advantage of. There are other reasons that I prefer trading football on Betfair however. One of the main ones is that I find football easier to follow. The first thing to keep in mind is that there is a firm media bias towards sports and sports personalities when reporting. This means that if a teams star striker is injured and unavailable to play, you will likely read about it in all of the papers. Compare this to a horse getting a slight knock which affects its gait which might get reported in the Racing Post. Second of all, there is the fact that football gives you plenty of breathing room when you are trading. 90 minutes is a long time and there are plenty of strategies that you can apply in that time scale. This is significantly longer than the few minutes that a horse race will last and as such, you get more time to respond to in game events. This makes it particularly well suited to those who are just starting out with trading. All things considered, I believe that bet trading is a skill. It is not a flash in the pan thing and if you take the correct approach, you can literally build your betting bank from next to nothing. This is no small feat. The truth about trading on Betfair whether it is football or any other sport, is that it takes hard work to get things going. This is something of a point of contention when it comes to making money online with a lot of products underrepresenting how much you have to do turn a profit. If you are looking for a consistent way to make money online then I believe that football trading on Betfair is one of the best approaches that you can take. It is not the easiest, however I also believe that it is something that pretty much anybody can do. Even if you don’t know a lot about football, it is not a difficult sport to come to understand. Again, I particularly apply this when put next to horse racing, however I feel that it can be applied to a variety of other sports. As I stated earlier, there are many nprofessional traders who do make a living trading the football markets on betfair, and if you are an avid reader of this website, then you will know that we have recently completed a review of the Daisho Trading System, offered by Tony Langley, and this is one guy who does know how to trade football. I should be clear though, football trading on Betfair isn’t going to make you a millionaire (as if, right!). I cannot stress enough that trading is all about making small and frequent wins. The beauty of trading as a method, when combined with this approach, is that you are in control. This is massively different to a lot of ways of making money online which require you to operate at a loss and rely on third party sources to make you money. Trading is all about your abilities, and understanding the task at hand! Whether you are currently involved in football trading on Betfair or not, I think that this is a method that at the very least is worth a look. Especially if you are serious about making money online. There are very few immediate negatives outside of having to put time and effort. If these things are problems for you, I have to hold my hands up and say that it isn’t just Betfair trading that you will have problems with, it is any method of making money online. You have to apply a lot of effort when making a profit with anything.